Every few weeks, Saturday mornings are reserved for the barber. Today was one of those, so my son and I had our visit to the salon. After our customary drive and parking, and a few minutes of waiting for our turn, we finally were called in and sat into our ‘throne’ to get started with his ‘services’. Mind you, salons in major cities in India have got quite savvy. So unlike a few years back when you just went to a barber shop to get a haircut, now you go to a wellness salon which provides ‘overall hair and beauty services’. They have a quite a range of services on offer to grab more ‘share of wallet’ from you. But despite that some things have not changed. So the first question I get when I am seated is still – ‘do you want it cut short, medium or long?’ I have never been able to figure out what to answer this question with. Obviously, long is out of question, else I would not be here. But between short and medium, I have never figured what I really want. When I say short, I kind of need to clarify that I do not want an army crew cut. When I say medium, I generally follow it up with some comment that suggests – but do not cut just a bit! After that, I hope he has got what I want and then silently sit waiting for him to do his job. This is similar to the ‘agony aunt’ stock question-answer programs you have on TV. So the caller asks – I bought so and so stock at Rs.100 two weeks back – what should I do now, buy, hold or sell? And the advising broker asks him – can you hold for short-term or long-term? Similar to ‘do you want your hair short or medium?’, this question has no clear answer. So the caller answers, long-term, and just to clarify – adds 2-3 months!! Providing clarity for his definition of long-term. The other similarity I find between barbers and brokers (or as they are called hair and beauty service, and financial service providers respectively) – is their nice guy approach when the first service is over. So I am nearing the end of my hair cut, and typically I am asked – “Sir, will you like a hair color?” Now at this point, if I am not clear on whether I want it or not, it is quickly followed by something like – “It will look good on you Sir” or something to that effect telling me why I need it. Depending on the tone of my answer, the same service is pursued, or a new item in the menu card is proposed – the hope being that the 5 minutes between now and the end of my hair cut yield an add-on service that I purchase. This is again similar to my experience with financial services providers of late. If I visit a bank, a ‘relationship manager’ arises from somewhere telling me that he will be the point of contact for me. So after some mundane task like submitting an application for a bank stamp on an ECS mandate is done, and I am waiting for the processing, the relationship manager quickly asks me if I am looking for stock and mutual fund advisory services, or else for insurance, or for credit cards – for something. A little bit of confusion shown on my face, and I am drowned in information on why I need it. Only when there is no option but to give me my ECS mandate, I am free to go. It is an indication of the sorry state of affairs in investor education that market linked insurance schemes get more fund inflows than mutual funds in India. The war between the capital market and insurance regulators was never fully resolved, though it led to some changes in structure of market linked insurance plans, and perhaps a lesser complex cost structure. It did not solve the issue of higher commission payouts to insurance salesmen, though it left mutual fund companies in the lurch – due to their inability to pay commissions to their distributors. Of course, a smaller evil cannot be a solution to a larger evil – and the world is not a perfect place – so while things have improved, the fact remains that investor education is still so low that financial products get sold rather than bought. 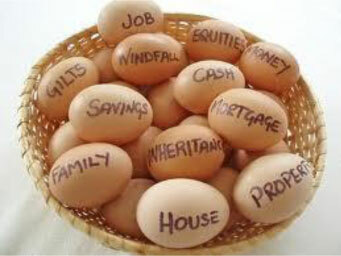 The fact of the matter is that everyone needs insurance, and everyone needs investment solutions. More important than that, everyone needs an ability to differentiate between the two, and a discipline to stick to the differences. Nobody except the companies selling them needs market linked insurance products. An individual needs adequate levels of low cost insurance, and a clear investment plan. 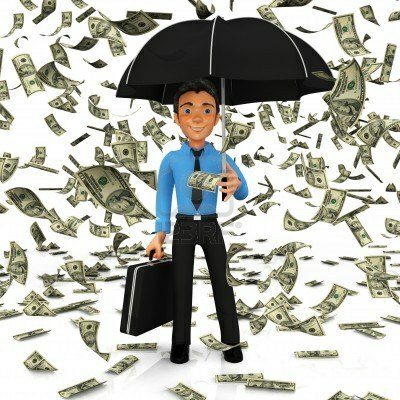 A mixed product like market linked insurance product simply combines the two, adds some complexity to make it a nice sales pitch, and eventually depends on the investor’s confusion and the salesman’s skills to collect the premium. Insurance is a game where you take a bet on your longevity, and pay a premium to protect against unexpected death or loss of earning power. The only basis for selecting insurance should be a product where the odds are in your favour – in the form of a low premium for a large insured sum, preferably at a young age. Investment is a game where you take a bet on the future earning capacity of an asset, and pay a price which you think is lower than the sum of future earning capacity. These are two unrelated things – and combining savings or investment plans with insurance – is like adding apples to oranges. The only excuse to go for a market linked insurance product instead of a mutual fund can be an investor’s lack of discipline which an insurance product provides no escape from, unlike a mutual fund or stock which can be sold in panic. But that is more an investor’s problem to solve through better education and self-discipline rather than locking himself to a high cost product. If an investor has education and self-discipline, there is no reason whatsoever for him to go for a market linked insurance scheme – which is simply high cost investment in disguise. And in the absence of education and self-discipline, it is unlikely that anything can help him.